Do you think that this is a good idea or a bad idea? Personally any OS company that blatantly leaves old vulnerable code in place and just adds new versions to their OS is asking for trouble. Ridicule? maybe. But doesn't this also play in line with people who have been complaining that MS OS's are bloated ? Like a company that never removes old Firewall rules/ACLs and just adds more in place. 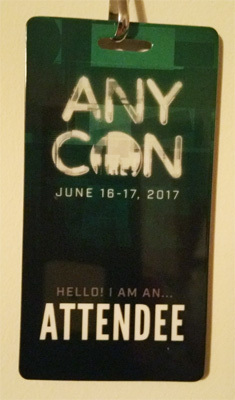 I took the opportunity to attend the first ever ANYCon at the Albany Capital Center here in Albany NY. Being this was the first year attempt at bringing a "Con" to Albany, it was a great event. Surprisingly for a first year event, there was a lot of talks and activities and well attended by various people. A rough estimate by myself would say there were approx. 400 people who attended. Intel fixes a flaw in the AMT that would allow a hacker to bypass security and gain access to a system on or off. But supposedly this flaw has been out there for over 10 years, based upon what the article states.